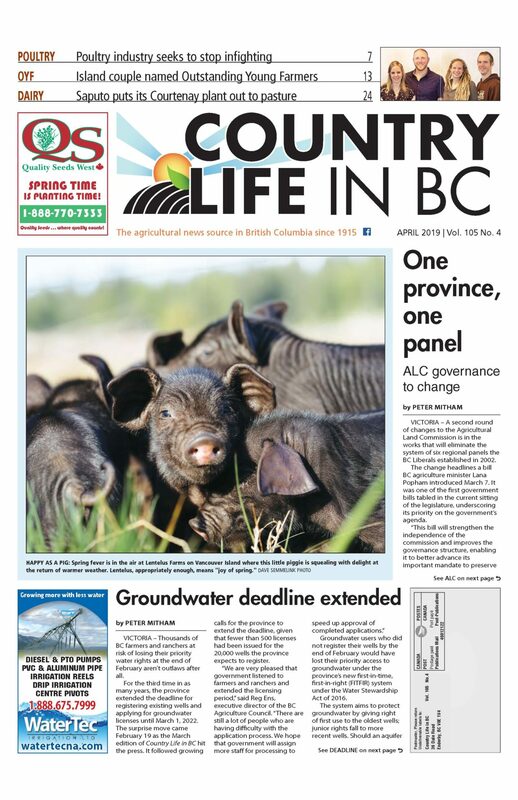 ABBOTSFORD – BC farmers have been spared from the damaging effects of corn rootworm. That is, until last year, when the beetles were first discovered in sweet corn in the Fraser Valley. BC Ministry of Agriculture entomologist Tracey Hueppelsheuser says damage from the pest can be substantial. Both the larvae and adult beetles cause damage. “They call it the billion- dollar bug in the Midwest, so it’s significant,” she says. Damage has been seen primarily in the central Fraser Valley on both sides of the river but Hueppelsheuser and others continue to be watchful throughout the province. “[The beetles] have mandibles and they actually like pollen so they do seek out flowers and pollinating plant parts. 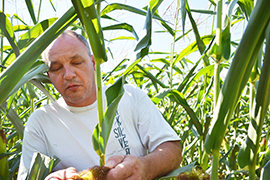 They like silks of corn and they can actually prevent the cob fill in corn as a result of their feeding,” she notes. Dairy farmer Sid Stoker of Fraser Edge Farms in Deroche has the beetle in his forage corn but, fortunately, not in massive quantities. He does have some of the bleaching in his field. Hueppelsheuser notes beetles were first spotted in fields this summer on July 24. The pests’ appearance ramped up quickly after that. Some growers were able to spray but she feels late planting put the corn at greater risk. Hueppelsheuser says Sevin (carbaryl) is approved for corn rootworm. Eggs of the beetle overwinter, then as they hatch in early to mid-June, they feed on corn roots, destroying the brace roots. This causes corn to tip, possibly grow upright after tipping, or look like it has been hit by drought. Fields have looked patchy, Hueppelsheuser says, depending upon where the greatest quantities of the pest are. The task will be to prevent potentially increased damage next season. The primary method of control is crop rotation. “Corn is the primary host, though there can be some survival on some grass species … this beetle just really needs corn to survive,” Hueppelsheuser says. If rotation is planned, a crop needs to be found to ensure tonnage for cows without corn. If rotation is impossible, traited corn is another option. She feels growers who experienced corn rootworm need to consider the hybrid varieties of corn seed.